Fast Pest Control Gold Coast is the best choice for getting pest control services. We have experts who have been serving their professional pest control services for more than twenty years. While giving reliable and effective pest control services, We have learned several techniques for controlling all types of pests in your home or office. Our pest controllers are well trained and qualified to control pests professionally. Our professional pest controllers use advanced technologies and high-quality cleaning solutions to control pests professionally. We offer Flea Control Gold Coast, Fly Pest control Gold Coast. We have a single goal in mind - give complete customer satisfaction with each task and subdue customers stress by excellent pest control services. So, call us +61 414 530 372 now. 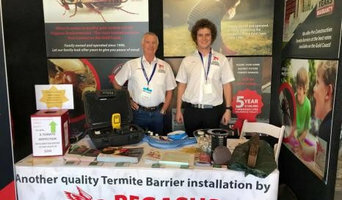 With locally based in Surfers Paradise, Impressive Pest Control Surfers Paradise specialize in all types of pest services using the most advanced techniques. Pest Control Surfers Paradise prides on offering one of the area’s best services and gets rid of any pest and any kind of pest infestation within 24 hours of hiring. When a pest problem occurs that requires an instant response we offer complete pest solutions including insect control, rodent control and bird control throughout Surfers Paradise. 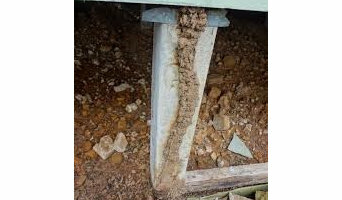 Termite Inspection Surfers Paradise offer both commercial customers and residential customer’s specialist advice and assist to eliminate unwanted guest. Pegasus Environmental Pty Ltd began in 1996. It is a family operated business. Providing high quality Gold Coast Pest Control & Termite Control services, at competitive prices to our customers. We offer the highest level of care and expertise. Our business services include pest control, pest inspections, termite inspections, termite treatments, building and pest inspections and carpet cleaning. We offer a 25 year cover and $1million Termite Warranty. We offer pest payment plans. Provide all general pest control services along with specialised services such as bird mute control, bedbug control, pigeon eradication , mosquito treatments and more. Gold Coast Pest Management Solutions was created to provide the Gold Coast with a honest and trustworthy & professional Pest control service as many bigger competitors are more about turning over as many jobs as possible, where Gold Coast Pest Management Solutions focus on bringing a quality and friendly service backed with results and professional experience. 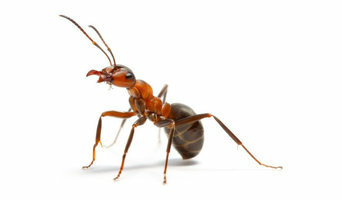 We cover all type of pest control including Cockroaches Control , Ants Control , Silverfish Control, Moths Control, Bed Bugs Control, Bees Control, Wasps Control, Fleas Rats Control, Mice Control, Spiders Control, Silverfish Control, Ants Control, Bed Bugs Control, Fleas Control, Termites Control, Cockroaches Control, Rats Control, Mice Control, Spiders Bees Control, Wasps Control, Flies Control, Termites Control, Ants Control, Bed Bugs Control , Silverfish Control and Spiders Control. Call us 1300 044 219 for same day pest control. We have an accomplished group of experts who can help you with the pest issue, be it for residential or business pest control requirement. Our endless hard work and expertise in this field make us one of the best pest elimination services in the Gold Coast area, permits us to handle any employment, regardless of how enormous or little. Sparkling Cleaning Services Gold Coast uses advanced technology and a systematic process for pest control strategies, including eco-friendly solutions that pose no serious harm to family, pets, and surroundings. Call Us 0410 453 896 for same day pest control. As members of the Pest Control Association, our employ is also underwritten by a number of key guarantees relating to the superiority of our services and the professionalism of our team. We stand by the highest standards in the industry, seamlessly combining tactful specialist exterminator techniques with stellar customer service and competitive prices. We give first-class pest control in Surfers Paradise and its nearby areas. Pests do not decide their next home based on your postcode. They are simply searching for somewhere to live and survive. You are just as likely to have a difficulty with bed bugs in Surfers Paradise. You are just as prone to trouble with mice running around your kitchen in Surfers Paradise. Be Pest Free Pest Control Surfers Paradise is a family-run business based in Surfers Paradise. We have over many years’ expert pest control knowledge dealing with all types of infestations, which means our capable, skilled staff can get rid of your unwanted visitors speedily, safely and effectively. Whether you already have a pest difficulty at your home and business, or you need to stay pest-free, we can assist. We have properly licensed, well trained, and closely supervised professionals as such we guarantee a maximum number of effective services in compliance with strict health management guidelines When you need to treat pests? Before you even see a pest, there are times when you need to call a pest controller. Call us at 1800 033 756 Termites Control Gold Coast Termites are always on the move and enjoy warm weather and humidity. They are now found in more places where historically they did not exist. The best way to protect your home from termites is with an annual termite inspection. Fast Pest Control Gold Coast has been proudly catering its domestic as well as commercial pest control services with amazing results that promise 100% customer satisfaction and helps you in getting rid of these infiltrators. Our qualified team will first take time to understand your needs and intensity of the situation before coming up with the best eco-friendly solution. We offer the best services, for pest inspection, pest fumigation, extermination services and scientific suggestions for pest control at the best prices at Fast Pest Control Gold Coast. Our Pest Management Program with pre and post-treatment surveys ensure effective treatment and zero reoccurrences. So just don’t wait when the panacea for pest problem is at your doorstep. Place a request, our best in market professional staff will be at your service. Call us 1800339712 for same day service. We are a family business that offer affordable carpet cleaning and pest control services. A large chunk of our work is both carpet cleaning and pest control on the same job. We don't do termites but we treat fleas, rats, mice, ants, spiders, cockroaches, silverfish. 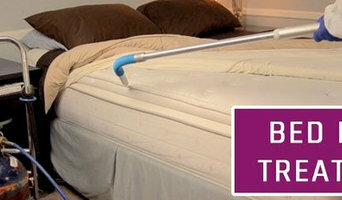 We also do upholstery cleaning and leather cleaning as well as carpet cleaning. We also do a allot of commercial work both pest and carpet cleaning. With over 50 years of experience and high-quality service, Best Pest Control Gold Coast has dominated over pest problems in the heart of Australian east coast, Gold Coast. We have earned the reputation as one of the most reliable pest control provider in the region with an accreditation by Trades Monitor. We have handled all types of structure that have been infested which includes residential, retail, and commercial type properties. Best Pest Control Gold Coast is blessed with a lineup of licensed experts and professionals who are highly-trained and have years of experience of pest control and extermination. Call one of our accommodating consultants on (07) 3041 1983 and find out why Best Pest Control Gold Coast remains one of the best pest control services available in the heart of the east coast. Our name says it all. We are your one stop termite shop. We are a Gold Coast pest control company. Offering termite inspections, treatment, baiting systems and termite damage repairs. We are not just pest controllers, we are Termite Specialists. Operating throughout the Gold Coast, Brisbane, Tweed Heads and Byron Bay. We provide high quality pre-purchase, pre-sale building and pest inspections that are easy to understand, detailed and delivered to you within 24 hours. All inspections are carried out by the owner and director of the business, Trent Thomas, who has been in the building and construction industry for more than 15 years. Pests can be removed in a variety of ways, depending on the type and severity of the infestation. Professionals in Gold Coast, Queensland may use baits, some of which have a lethal effect and spread to the entire population, or dust, which can get into hard-to-reach places where pests breed. Other alternatives are liquid insecticide sprays and gels. Safety and effectiveness of advised methods are usually discussed during the initial pest inspection. Find pest control services in Gold Coast, Queensland on Houzz. Scroll through this page to find an exterminator, fumigator or termite treatment expert in your area. You can read reviews to see how other homeowners rate their work, and contact businesses directly.